Today, we all have a once in a lifetime minute. For all of us, this will be the final time we will have a number repeating across the board in both time and date. 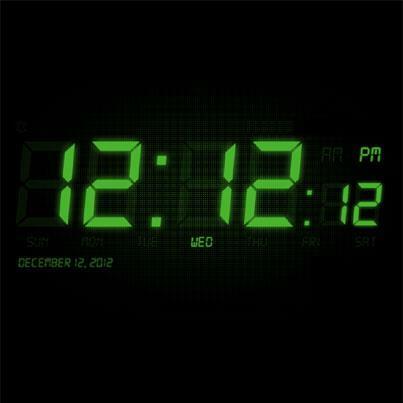 12/12/12 12:12 The next time this will takes place will be in 3001 so for us this will be our final time seeing this. Snapshot it! Maybe you will have the opportunity to show it to others in 20 years. Also, we’d like to extend our thoughts and condolences to those involved in the mall shooting in Oregon. Be looking out for some more changes here at Techtronica as we introduce new writers, staff in an effort to better your web experience! Bob Luraas liked this on Facebook. Marcella Baxter liked this on Facebook.